The Lagos State Government is collaborating with beer brewers in the country and their counterparts across the globe to create maximum excitement during a week-long fiesta that will climax with the Independence Day Mega Concert to commemorate Nigeria’s independence. The event, which is first of its kind in this part of the world and would be hosted by Lagos State, is tagged ‘Nigeria Beer Festival’ and is scheduled to hold from September 25 to October 1, 2017. Organisers of the Nigeria Beer Festival, On and One Event (001) Limited, said that the Lagos State Government, which is passionate about tourism, will provide massive institutional support, particularly security, transport and related logistics. The organisers believe the maiden edition of the Nigeria Beer Festival is not only capable of stimulating the state’s economic and tourism potentials, but will also promote responsible drinking among drinking-age consumers at all its touch points. The event, expected to be a gathering of the largest community of beer consumers from across the country and beyond, will be held at the Lagos Atlantic City to give it a carnival atmosphere from Day 1 to the very last second. The festival will see Nigeria enrol into the league of Beer Festivals around the world, and boost the country’s tourism opportunities. The Nigeria Beer Festival will provide a fitting ambience to showcase fashion and lifestyle, as well as culture in a carnival atmosphere with various beer brands and other alcoholic drinks in Nigeria connecting with their existing and potential consumers. General Manager of 001, Akinola Oluwaleimu, revealed that the world acclaimed Oktoberfest (Beer Festival) in Munich attracts more than 50,000 tourists to Germany every year, while other countries in Europe and the Americas have caught the bug. 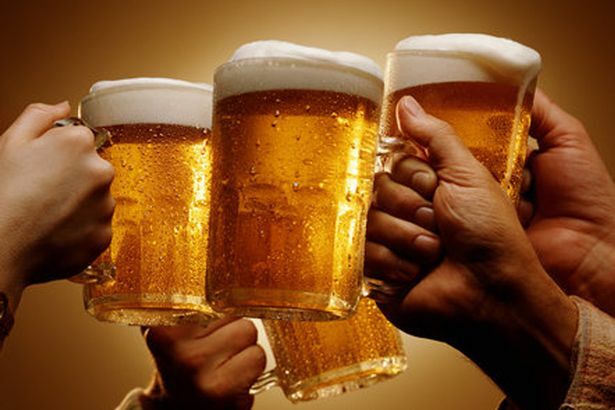 “Nigeria Beer Festival will be a carnival week of entertainment, sales and marketing and a gathering of the largest community of beer consumers from across the country and beyond with economic value for the brands and the economy at large,” Oluwaleimu assured. Meanwhile partners of the forthcoming Nigeria Beer Festival are also assured of world-standard facilities as the organisers of the Nigeria Beer Festival have partnered with reputable and qualified architects from Europe to design modular stands to fit into any shape or style desired by exhibitors. Governor Akinwunmi Ambode is expected to close the festival during the Independence Day Mega Concert that will parade an array of A-list Nigerian artistes, which will feature eye-popping fireworks display.